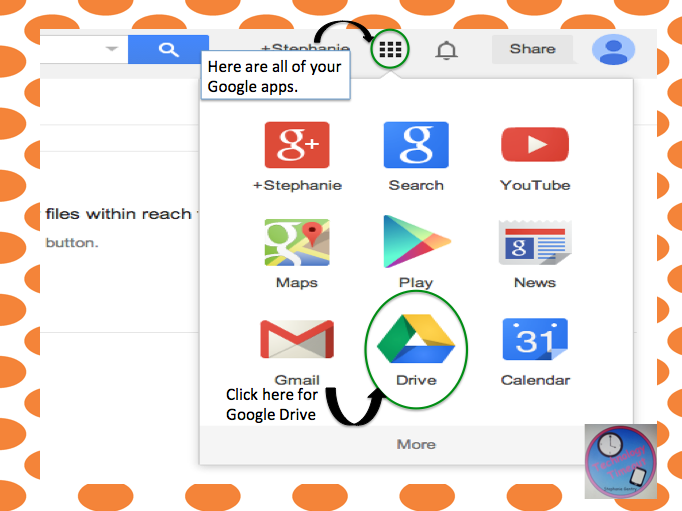 Technology Timeout: Google Drive - I didn't know it could do that!!! 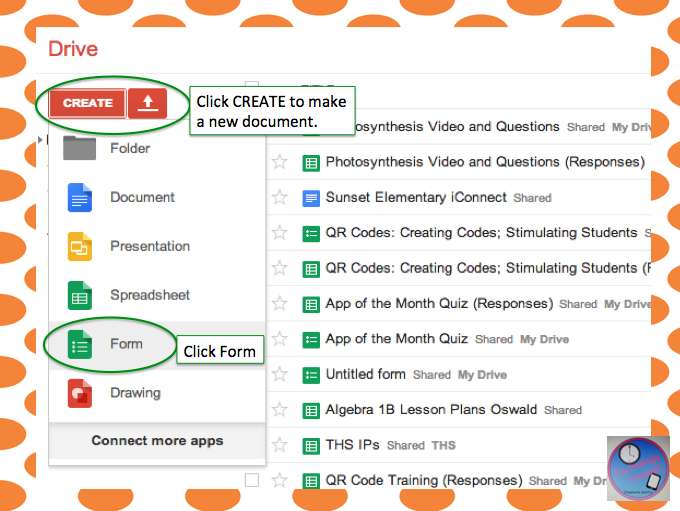 Open up your Google Drive (this can be done on your iPad app or on the computer, but I prefer the computer because it gives you more options). Click the Add Item button (click on the triangle to get to these options. If you click just Add Item, it will default to the last thing you added) and choose video. 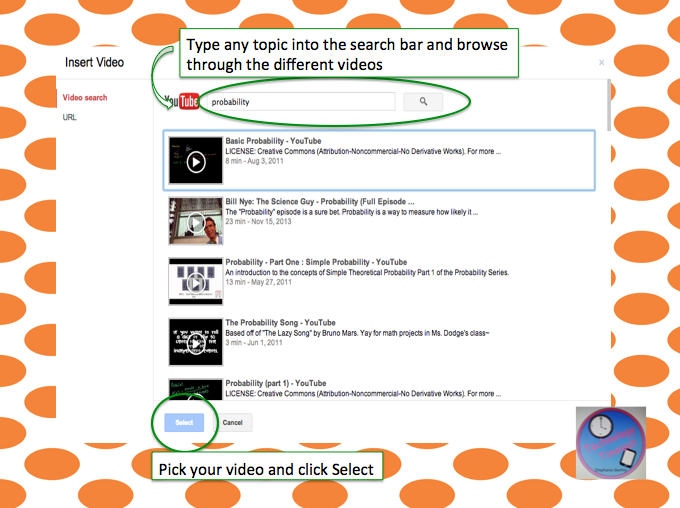 Type in your topic into the search bar and browse through the videos. You can view them before making your selection by clicking the play button (triangle) right on the video. 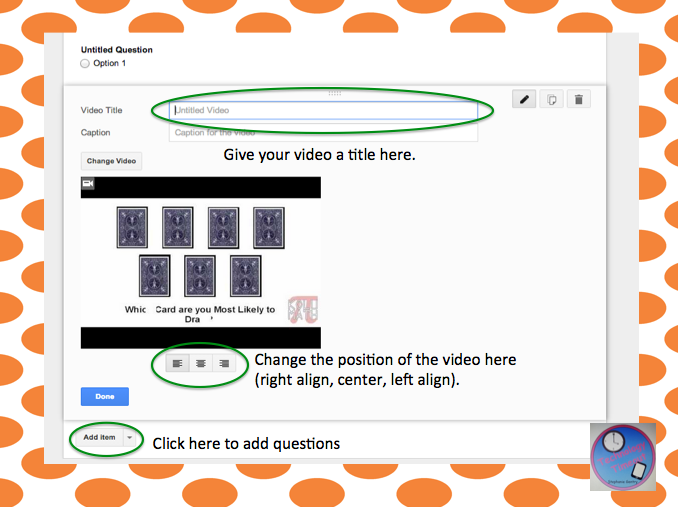 Give your video a title, add your questions, and enjoy! I prefer to share my videos using a QR code. I simply copy and paste the URL into goqr.me and it automatically generates a code. Students can scan the code using an iPad or SmartPhone. 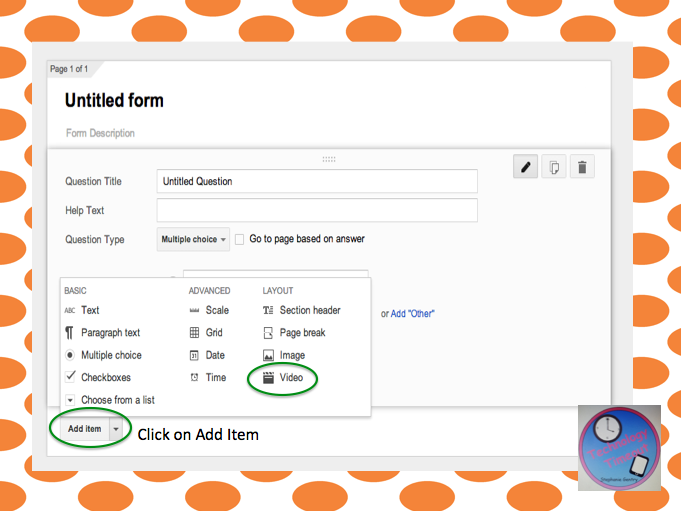 You could also link it to classroom websites so students could access for a 'flipped' learning experience. The options are endless!